"Want to help spread the word about the openSUSE Project and encourage more people to become part of the openSUSE Community? Are you ready to roll up your sleeves and spread the word about the openSUSE Project? Do you want to teach new users about Linux, speak about openSUSE at local events, help distribute openSUSE media, and mentor new contributors to the openSUSE Project? Then you’re ready to become an openSUSE Ambassador!" 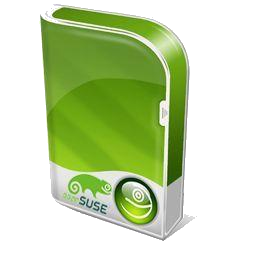 "The openSUSE Project is happy to announce the second milestone release for openSUSE 11.2 is ready for download. This release includes Firefox 3.5 beta 4, KDE 4.3 beta 1, GNOME 2.26, and hundreds of other updates from Milestone 1." "In the last days I had a closer look at the oauth rails plugin which requires some methods from the restful_authentification module. As the obs frontend doesn’t use this module we need to provide our own implementations of these methods. Fortunately it only uses a handful of methods (like authorized?, login_required, logged_in?, current_user etc.) so it shouldn’t be too hard to get it working without the restful_authentication module." "This week was exciting - we deployed a first prototype of a minimal ARM environment on build.opensuse.org in the repository Base:build:arm. It’s a set of packages which is capable of bootstrapping itself and still in an early stage as it’s using full emulation. Next station: speed-up !" "GNOME 2.26.2 is now available for openSUSE 11.1. To update, follow the instructions here. Big thanks (and please buy him a beer when you bump in to him) goes to Dominique Leuenberger (DimStar on IRC) for updating these packages." "It’s been a while since gnome released version 2.26.2, a mainly bugfix release in the 2.26 series. openSUSE 11.1 originally was shipped with 2.24 and some great people created a repository in openSUSE buildService to offer the latest gnome also for the latest released openSUSE version. All this happend back when latest gnome was at version 2.26.1, so ‘latest’ was no longer true." "I'm in the process of polishing Milestone 2 to be released end of the week. The kernel-legacy rename was reverted yesterday and I'm afraid I lost one day tracking it. If you have kernel-legacy installed now, you need to switch back to kernel-default manually. Sorry for that trouble." "More Live Images: openSUSE-Edu team has been working hard to polish the various image “flavours”. The latest addition to the images is openSUSE-Edu-Desktop. This image contains the latest GNOME with many useful educational applications." "I’ve been using this trick for ages to make simple cards from photograph - starting with a photo and making a card. Once you know how you can make a card very quickly, and it’s certainly quicker than rushing out to the shops when you need a card in a hurry. Here’s how to do it." "Connecting to andriods via WLAN together is a bit complicated, but if you know how it works, it's really easy." "Ever wondered how long a process has been running? Did you know how to find it? Well, it’s actually quite simple and can be done with less commands." "Some of you may already notice, that in Build Service, there are already available rpms for new MySQL 5.1. Currently I think that in openSUSE 11.2 will be some 5.1 version of MySQL. So it may be interesting to tell our users what will change and how. Most of these changes are reflected in README.SuSE, but frankly - who reads READMEs?" "I’m happy to announce OpenOffice.org 3.1 rc5 packages. They are available in the Build Service OpenOffice:org:UNSTABLE project and include many upstream and Go-oo fixes. Please, look for more details about the openSUSE OOo build on the wiki page." "On Monday we released Tomboy 0.15.1, the latest development release on the road to 1.0. It features a lot of the same fixes from 0.14.2, and some other improvements: ..."
"Last week I blogged about Facebook support for Kopete, just after I was able to see my buddies for first time on the screen. Since then I have made some improvements to message handling and other code cleanups. The code is now available in a git repository at github." "As you may know, are working on making YaST functionality accessible via the web. With this we mean not only browser. The current prototype has two parts: a generic web service (REST like API) and a web browser client." "I can finally release my super secret project to you the lovely community: Project Goblin. You may well be asking "WTF is Goblin?!" and the answer is pretty simple really - our illustrious mascot Geeko + Moblin = Goblin :-D It was pretty typical really, I start working on my Netbook images again and before I can finish at least one of them I'm pipped to the post by the great work by Intel, the Linux Foundation, Novell and the whole Moblin community. I however didn't let this dishearten me, no no. I actually viewed it as a natural compliment to my existing/planned images, and as such I present to you Goblin. Many thanks to the artistic supremo Jakub for the artwork, he knocked it up in a very short space of time and yes that is indeed fifth leg being used as the font :-)"
"Milestone2 is currently uploading to the mirrors, so it's a good time to discuss briefly the goals for milestone 3." "Almost one year ago, the openSUSE Project launched the openSUSE forums as a merger of former suselinuxsupport.de, suseforums.net and the openSUSE support forums at forums.novell.com. Right from the beginning of this project, I served as the Project Manager and afterwards contributed as a Moderator at the OSF to the openSUSE community. Therefore the happenings at the openSUSE forums are certainly in my personal interest." "Another happy punter. It's always good to read these, as much of what we deal with in the forum is negative, well negative in the sense of most posts being about problems. Fortunately, in most cases, even with problems, there is a happy outcome." "At one time this was not easily accomplished. Granted, there are all manner of different possibilities as far as Hardware of any given user. In this instance it seems openSUSE is nice and intuitive. " 11.2 Milestone 1, Initial Comments/Issues? "I thought it would be interesting for users to read about this and I hope to keep track of similar threads in the months ahead. Maybe it will encourage others to give testing a go and so contribute to the overall testing of the next release from openSUSE." "Aaron Seigo has published a list of changes and new features to Plasma, the desktop shell for KDE4, that will be included in KDE4.3. This list is quite long, so I will only try to show the most important changes." "Today, my DNS server suddenly stop with the following message in /var/log/messages : May 24 10:56:17 server-vavai named: zone vavai.com/IN: journal rollforward failed: journal out of sync with zone"
Sean Tilley: Things I like about KDE4. "There's been quite a bit of hubub about the KDE project ever since the 4.0 release last year. Critics have slammed the 4.0 series repeatedly, citing the mentality of "Well, it's not good enough to be a full release.". Between the poor publicity, the crashes in Plasma, and the still-developing early features, KDE was definitely not having a good time. Developer blogs were plastered with hateful comments, and one of my favorite devs Aaron Seigo had [...]"
"If you do any web design, interior design, painting, graphic arts you know the importance of using complimentary color schemes. For many this is as simple as eying a color. Agave does one thing: It helps you create color schemes that match." lists.opensuse.org has 36957 (+65) non-unique subscribers to all mailing lists. The openSUSE Forums have 28975 (+324) registered users - most users including guests ever online was 7771, 02-Dec-2008 at 17:31. 2964 (+45) of 7089 (+121) registered contributors in the User Directory have signed the Guiding Principles. The board has acknowledged 293 (+0) members. The Build Service now hosts 6547 (+115) projects, 68543 (+1145) packages, 12801 (+259) repositories by 15207 (+122) confirmed users.